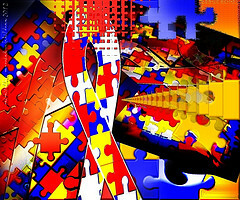 Understanding an individual with autism spectrum disorder (ASD) can be challenging. It is even more difficult when he or she displays aggressive tendencies. However, adults and children with autism may use physical outbursts to communicate their wants and needs. This week, Disability Living is shining light on some unknown facts about autism. While it may seem widely known that people with ASD are inclined to aggressive tendencies, there is a lack of education as to why they may lash out in inappropriate ways. Aggressive behavior is one side effect of ASD, but in reality, it can be the most challenging aspect of interacting with an individual who has autism. In fact, Autism Speaks reports the number one behavioral hardship facing families of children with autism is aggression. When struggling with the side effect, it is important to remember this is a trait of the disorder, but not a symptom itself. Therefore, it is possible to help an adult or child with autism conquer aggressive urges and use healthy communication skills within his or her ability. The first steps in helping a person with autism overcome aggressive habits is to realize this is a form of communication, and seek to understand what he or she wants and needs. By observing the habits of this individual, it is possible to identify triggers that provoke aggressive patterns. When equipped with better understanding, it becomes easier to manage violent outbursts and prevent this type of behavior. In addition, such knowledge may assist medical professionals to prescribe healthy communication exercises that empower the individual with ASD to express him or herself appropriately. If you face the daily challenge of aggressive behavior in a family member with autistic disorder, you are not alone. There is a lot of credible information that may help you cater to the wants and needs of this misunderstood individual. Aggressive behavior can have a serious impact on family dynamics and social interaction. However, this is only a side effect of autism that can be overcome by observing violent outbursts, understanding the individual’s wants and needs, and educating him or her to use healthy communication tools.